Construction of a second Souq Waqif location – this time in Al Wakrah – is wrapping up as developers prepare to open the new market on Dec. 18, in time for Qatar National Day celebrations. Situated behind Al Wakrah petrol station, next to Al Wakrah port, the development stretches for 3km along the town’s coast, with an esplanade running down the open beach-side. Cafes, restaurants and shops will be housed in the existing buildings. Designed to reflect the town’s fishing village heritage, the souq features mock-aged walls and brightly painted wooden doors. It is also set to have outdoor seating areas with views out across the bay. It will eventually feature hundreds of shops and eating establishments in a style that blends the existing commercial bustle of Doha’s Souq Waqif with the winding alleyways of Katara. Part of the large parking area on the town side of the development has been finished, and the buildings themselves have been erected. However, significant construction is still underway throughout the site in an attempt to meet the National Day deadline. Earlier today, hundreds of workers could be seen laying walkways, installing street lights and finishing off the exterior renderings of buildings. Several hoardings for stores including Dareen Sweets were already up. Other food outlets expected to open soon include Al Aker Sweets and The Royal Tandoor restaurant. Doha blogger and photographer Brian Candy has captured some of the latest development on a recent post, with images. Overseeing the development is the Private Engineering Office, a government agency with direct links to the Emiri Diwan that provides development, project management and property management services for sites that are of interest to the Emir. Other projects under the oversight of the PEO include the Doha Grand Park and Al Messila VIP Resort & Spa. The Al Wakrah property has been used for several events in the past, including the Souq Waqif Spring Festival in January this year. Talk of establishing a Souq Waqif in the municipality go back to at least 2007 and features in the Al Wakrah masterplan to transform the town. 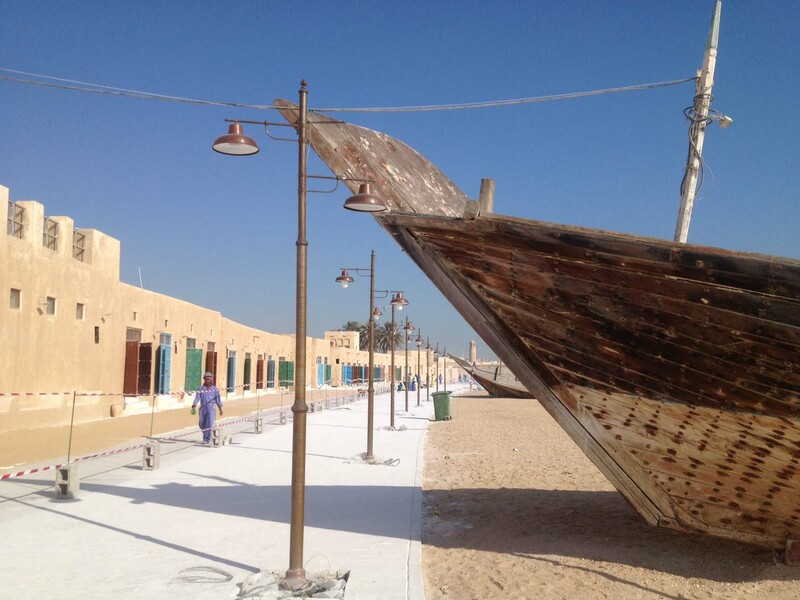 In 2008, the planners outlined their vision of turning the former fishing village into a “sparking south coast city,” re-establishing Al Wakrah’s historic core to reflect Arabic values. Plans for water parks, more residential development as well as recreation and leisure facilities have all been mooted in the past. The progress on these projects is not known. However, several new amenities have recently been established in the town and, with more planned, Al Wakrah is becoming an increasingly attractive place to live for people wanting to escape Doha’s congestion. International schools including the Doha British School and GEMS American Academy opened at the beginning of this academic year, while Hamad Medical Corp.’s Al Wakrah Hospital officially opened its doors in December 2012 after nearly two years of delays. Earlier this year, the Qatar Tourism Authority said it wanted to increase the number of attractions outside of Doha as part of its long-term plan to attract more visitors to the country. 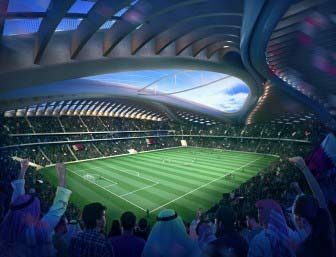 Additionally, matches for the 2022 World Cup will be played in currently under-construction Al Wakrah stadium, which was designed by ECOM and Zaha Hadid Architects in the shape of a dhow fishing boat. Meanwhile, Doha Metro’s Red Line is planned to run to Al Wakrah, with three stations planned in the area, at Barwa Village, Al Wakrah and the Qatar Economic Zone, just outside the town.